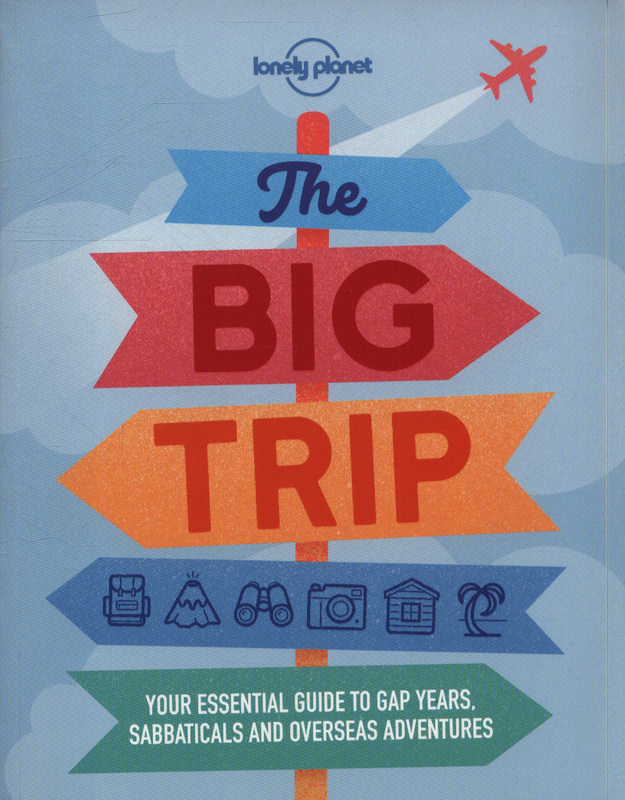 So, you want to experience the ultimate overseas adventure?Whether you're a gap year student or young traveller, taking a sabbatical or career break, a parent or guardian wanting to travel with your children, or in retirement and looking for your next adventure - The Big Trip is for you. 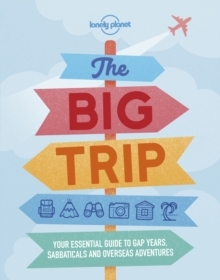 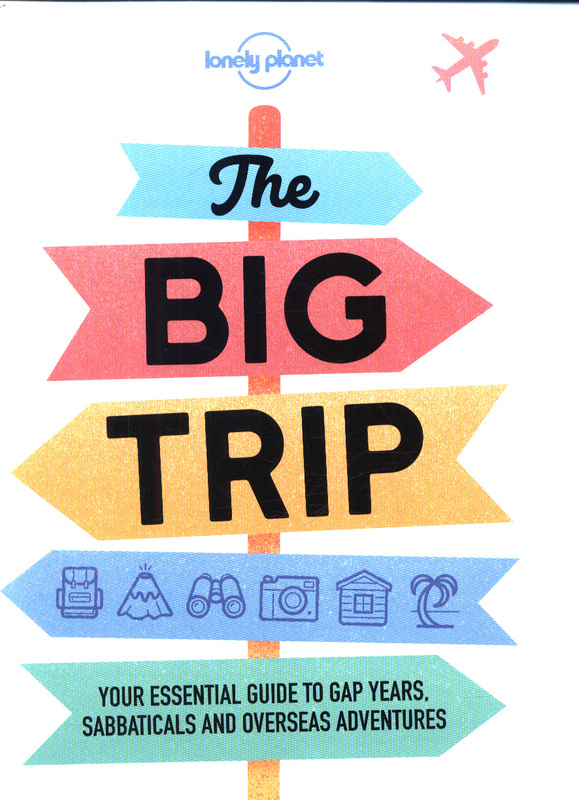 Advice and information in this comprehensive companion, now in its 4th edition, has been thoroughly revised and updated to include expert tips and recommendations that will help you create and enjoy a once-in-a-lifetime dream adventure abroad. 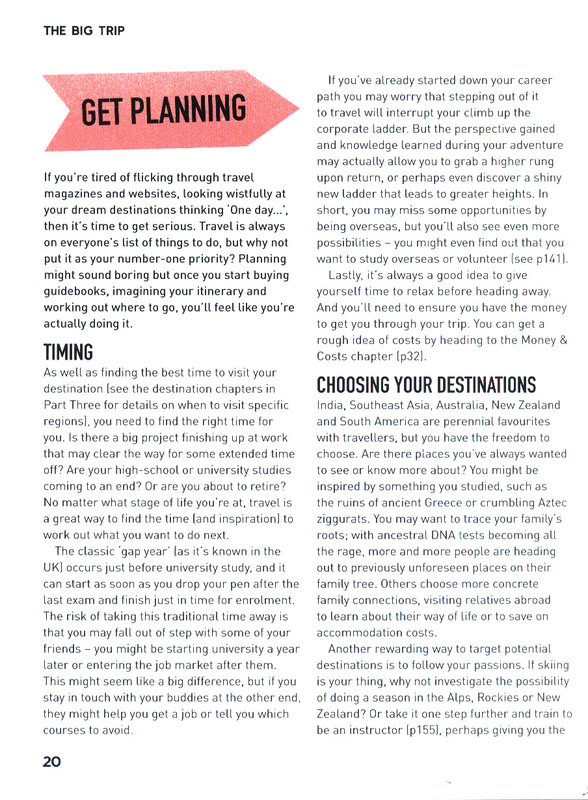 We've also added a new section about how to use your time away to turn your life's passion into a new career, with advice on gaining professional accreditation in climbing, mountaineering, diving, sailing, snowsports, wildlife guiding and more. 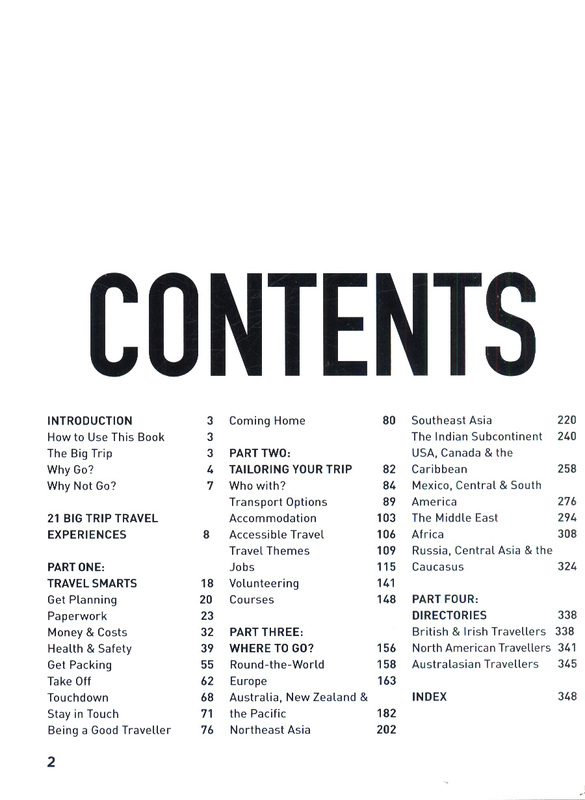 There's also a chapter on accessible travel by Martin Heng for specialist destination and travel advice for those with a disability. 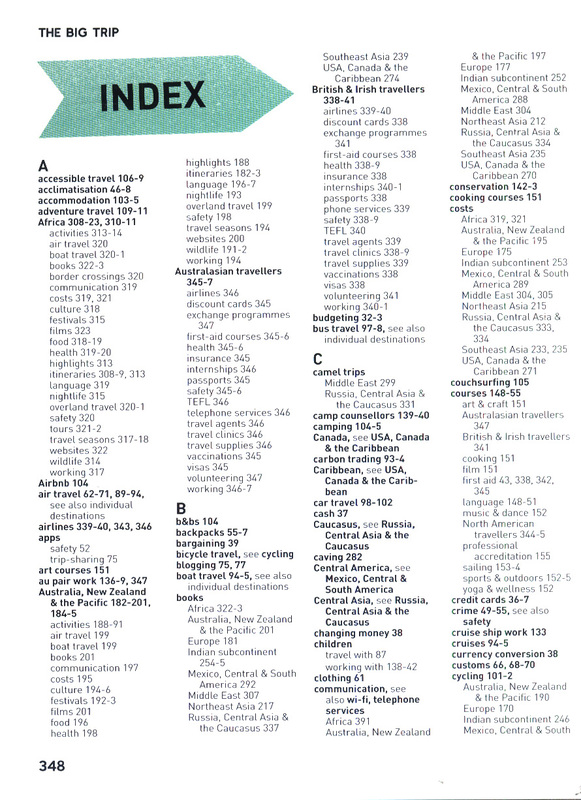 Improved accommodation advice now covers everything from cheap and cheerful digs for budget backpackers to higher-end hotels for those wishing to spend more. 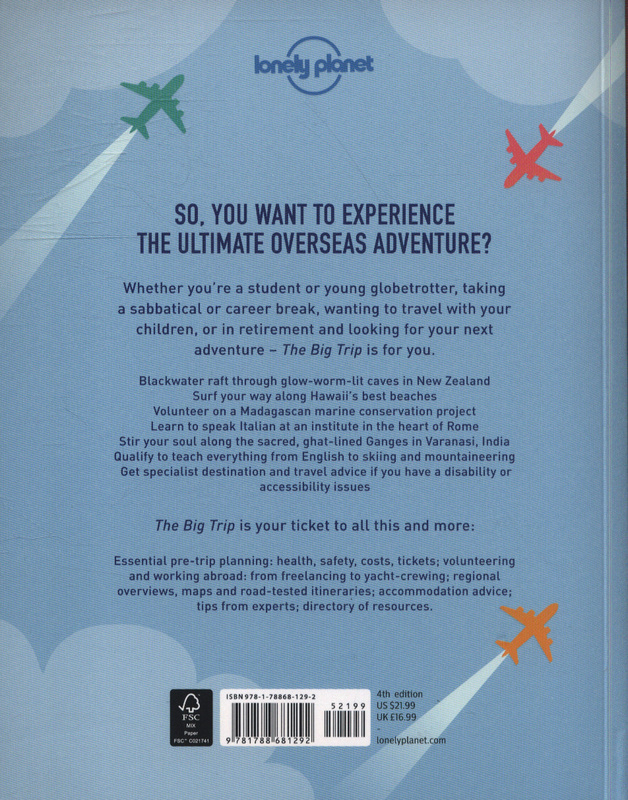 Experiences include:Blackwater rafting through eerie glow-worm-lit Waitomo Caves in New ZealandAttempting a Tibetan kora (pilgrimage) around Mt Kailash, Asia's most sacred mountainSurfing your way along Hawaii's best beach breaksGetting down and dirty at the Boryeong Mud Festival in KoreaDiscovering your top temple at Angkor Wat in CambodiaVolunteering on a marine conservation project off the coast of MadagascarLearning to speak Italian at an institute in the heart of RomeStirring your soul along the sacred, ghat-lined Ganges in Varanasi, IndiaLearning to make Balinese dishes worthy of paradiseClimbing to Bhutan's iconic cliff-clinging monastery, Taktshang GoembaTaking a tandem hang-gliding flight from Pedra Bonita over Rio de JaneiroQualifying to teach everything from English to skiing, diving and mountaineeringThe Big Trip is your ticket to all this and more:Essential pre-trip planning: health, safety, kit, costs, tickets (new tips such as five apps to keep you safe, nine best ways to save on air tickets online)Volunteering and working abroad: from freelancing and fruit picking to yacht-crewing and teachingRegional overviews, maps and a diverse range of road-tested itinerariesTips and stories from experts and travellers, who range from teenagers to seniors and those travelling with their kidsComprehensive directory of essential resourcesAbout Lonely Planet: Lonely Planet is a leading travel media company and the world's number one travel guidebook brand, providing both inspiring and trustworthy information for every kind of traveller since 1973.